Ozarks Injury Help is a service of Childers Law Firm, P.C. and Attorney Michael (Mike) W. Lutke. 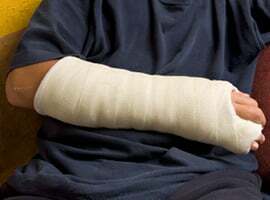 We are a Personal Injury Law firm and we specialize in assisting injured clients in getting their lives back. Our firm specializes in practicing law the old-fashioned way: providing service to clients in a competent, caring, efficient, and personal manner. We have won millions of dollars from major corporations and big insurance companies for clients negligently injured by others. 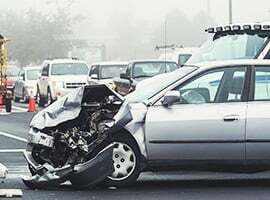 Whether you have been injured in an auto or trucking accident, or as a result of a doctor’s or hospital’s malpractice, or just as a result of someone’s carelessness, we can help you recover everything you are entitled to under the law. We can make house calls and YOUR INITIAL CONSULTATION IS ALWAYS FREE! Do you need an experienced attorney to help with your personal injury or wrongful death case? We are here to help YOU! Looking for an attorney with over 30 years of experience to help you with your Workers’ Compensation claim? We are here to help YOU! Looking for an experienced attorney to help you with your DWI or other traffic matter? We are here to help YOU! We accept cases throughout the entire State of Missouri. Mike Lutke is associated with Childers Law Firm, P.C.